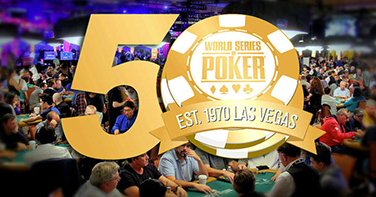 After a series of smaller announcements spread over the past two months, the officials from the World Series of Poker has released final information on what the series will offer for the 2019 WSOP. The 50th annual running of poker’s biggest tournament festival will once again take place at the Rio All-Suite Hotel & Casino in Las Vegas, running from May 28 – July 16. A total of 80 live bracelet events have now been announced, with no online bracelet event info yet released. In the latest update, the WSOP announced a half-dozen no-limit hold’em, pot-limit Omaha and mixed big-bet events to round out the schedule, all featuring buy-ins in the $600-$800 range, including ones with bracelets as trophies for the winners. These tournaments will fit into what the WSOP is referring to as its Deepstack events, which are all priced under $1,000. One of the new events is the Deepstack Championship, a $600 buy-in with 30,000 starting chips and a $500,000 guarantee. A newest addition to the schedule is also another charity event: The “SALUTE to Warriors” event is a $500 buy-in no-limit hold’em bracelet event that will kick off on Tuesday, July 2 at 11:00 a.m. The three-day tournament features 40-minute levels and 25,000 starting stacks and is scheduled to decide a champion July 4th, America’s Independence Day. The WSOP is going to donate proceeds from the event to the United Service Organizations (USO) and other veteran organizations. The event is open to all participants that are legally eligible.